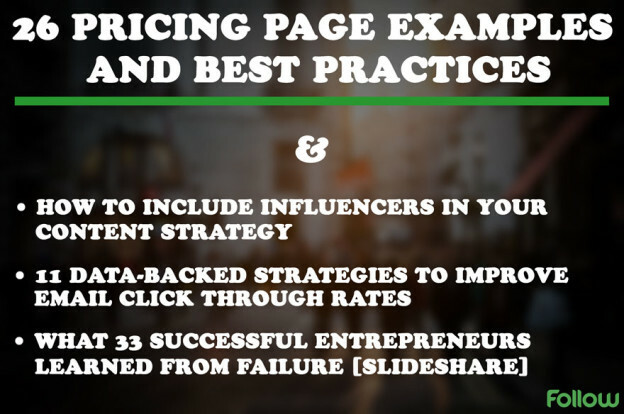 Let’s explore today: 1) Some 26 great examples of high-converting pricing pages, 2) how to find, engage, and get influencers to help you in content marketing, 3) a series of strategies to improve email click-through rate, and 4) 33 lessons on failures from entrepreneurs. 26 PRICING PAGE EXAMPLES AND BEST PRACTICES – This great article goes into the details of what makes a good or bad pricing page. To design a proper pricing page, and grab the attention, you need a sound strategy, and some very good design, too. The blog post also includes many pricing page examples to give you some inspiration. How to Include Influencers in Your Content Strategy – Social media influencers can help you with building brand awareness, but also drive traffic. How do you get to these people though? This article not only explains how to find these kind of personalities, but also how to outreach to them, how to start a relationship, and more. 11 Data-Backed Strategies To Improve Email Click Through Rates – David Arrington always shares great insights about email marketing. This time we dive into some actionable strategies to improve email click-through rates. David filled up this article with some real examples from real businesses, but also with expert opinions. What 33 Successful Entrepreneurs Learned From Failure [Slideshare] – If you are an entrepreneur, you will, most likely, find failure along the way. You’re not alone though. Successful entrepreneurs often go through failures, and often emerge wiser. Take a look at 33 lessons about past failures from business people like you. 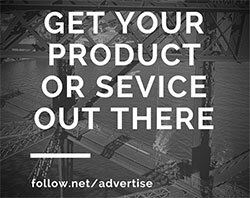 This entry was posted in Customer Acquisition Strategies and tagged Click Through Rate, content marketing, email marketing, engage, entrepreneurs, failures, high converting, influencers, lessons, pricing pages, strategies on December 23, 2014 by Davide Di Prossimo.